Now until Christmas when you order $25 or more (BEFORE shipping is added) you’ll receive a free AUTOGRAPHED art print as a gift (a $25 value). Print will be chosen at RANDOM and may not be one of the prints pictured (there are many more). 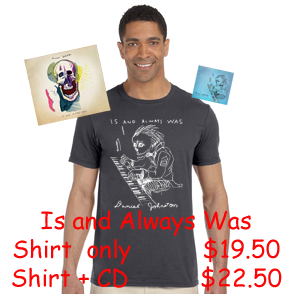 Daniel is FEATURING his album "Is and Always Was" (produced by Jason Falkner) with a SHIRT with CD or LP offer! 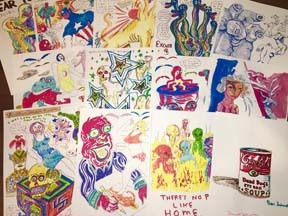 For ART: You can purchase ORIGINAL ART from the store at HiHowAreYou.com or RejectedUnknown.com. 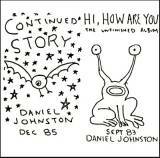 MORE ABOUT ART HERE. First time buyers of original art can ask for a discount - FIRST TIME ART BUYERS CLICK HERE. Signed limited edition PRINTS are available as well as unsigned prints. MORE ABOUT PRINTS HERE.